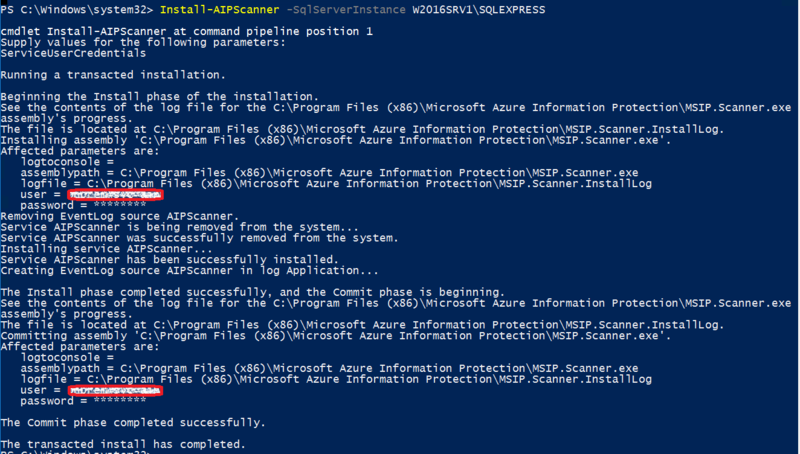 AIP Scanner can be very helpful when classification needs to be done automatically at on-premises and I assume that many of my clients who are not using AIP as they could, can have huge benefit of AIP Scanner at the future. When AIP labeling has been configured beforehand files, that scanner discovers can also be automatically labeled. When configuration finished I face first error, problem with creating database which was fixed with the help of my collegue. I installed SQL management studio and added SA permissions to my service account. After permissions were correctly in place AIP scanner installation went smoothly through. By default, when you run the cmdlets for labeling, the commands run in your own user context in an interactive PowerShell session. To run them unattended, create a new Azure AD user account for this purpose. 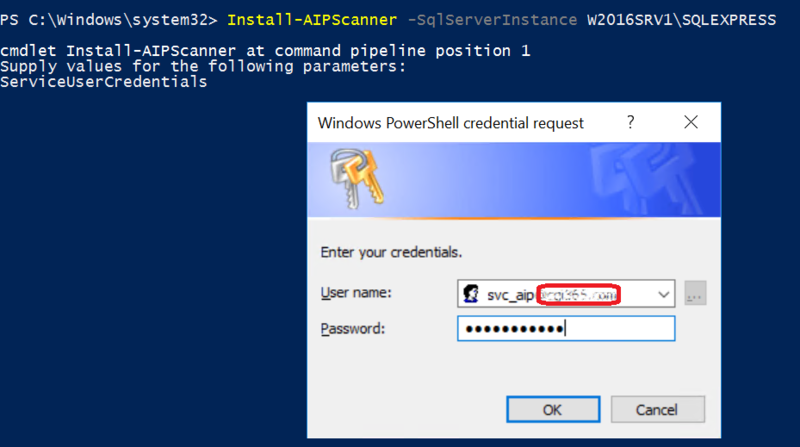 Then, in the context of that user, run the Set-AIPAuthentication cmdlet to set and store credentials by using an access token from Azure AD. This user account is then authenticated and bootstrapped for the Azure Rights Management service. The account downloads the Azure Information Protection policy and any Rights Management templates that the labels use. I faced next problem during authentication and was not abel to acquire a token from Azure AD. I have been working quite a long time with ADFS and federation I knew where to investigate more about this error. I used ADFSDiagnostics module to track events regarding ActivityID above and found event that used authentication method is not supported by ADFS. I was logged to server in internal network which was joined to on-premises AD, and received forms based authentication. That meant I needed to check supported authentication methods from ADFS. I added Forms based authentication supported to Intranet section. By default scanner is running at discover mode. Repositories needs to be added and commands can be found from here. In part 2 I’ll dig more into automatic classification and protection.